In fewer than 90 days, from October 9 to October 11, Shoptalk will host its first European event in Copenhagen. The event is attracting more than 2,000 attendees with over 1,200 already having registered. It focuses on disruptive trends, technology and consumer behavior in retail and e-commerce. I am proud to be one of Shoptalks speakers, leading a C-level panel on the second day of the event on Personalized Shopping. More information to follow! As an ambassador for Shoptalk, I can offer you tickets at a discount price this week. After Friday July 21 regular rates will apply again, so make sure you save some money by purchasing your tickets this week. Use my personal code JONGEN150 to benefit from this discount. General tickets can be bought here, by anyone who is not a retailer or startup. Retailer & Brand Tickets can be bought here. The complete agenda with speakers can be viewed through this link and includes over 200 people disrupting retail and ecommerce across Europe and the US. As I mentioned before, I am very proud to be among this great group of people. Over 250 people have already confirmed their spots on the Hosted Retailers & Brands Program and there are only 100 free tickets left in the program. Shoptalk encourages people to apply quickly and definitely before the end of July! As a reminder, the program gives qualifying individuals a free ticket to Shoptalk Europe and up to €650 towards their travel and hotel expenses in exchange for completing eight 15-minute meetings with Shoptalk’s sponsors and exhibitors. Meetings are personalized and led based on the interests of the retailers and brands. An unlimited number of people from your organization can apply for the Hosted Retailers & Brands Program, and many retailers and brands are bringing large groups to Shoptalk Europe as part of this program. If you’d like to bring a group from your company, let me know and I can put you in touch with the Shoptalk team to make the necessary arrangements. You can read more about the program here and apply for it using this link. 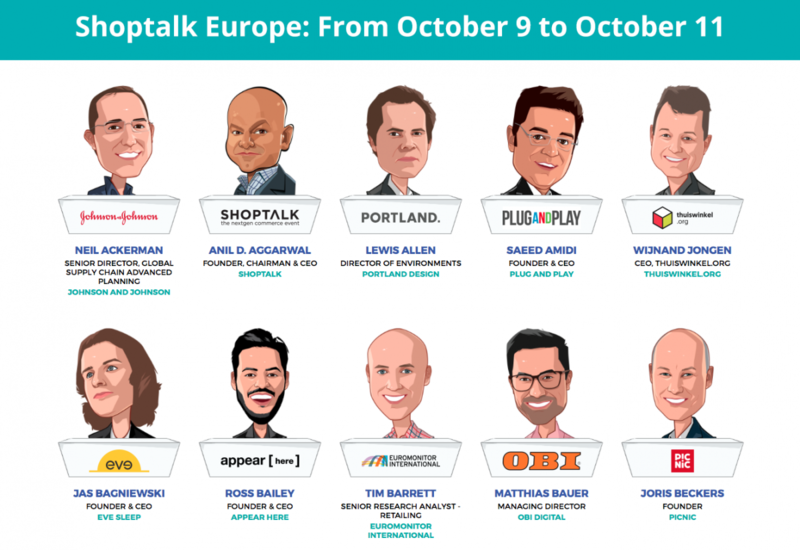 Shoptalk Europe is setting up to be a fabulous event for retail and ecommerce. I hope to see you there!